Last week was quite a busy one for auto enthusiasts. While there weren’t many new car launches, we did receive details about the new Ford Endeavour facelift and its launch date. We also got the chance to drive the Mahindra XUV300, and boy did it leave us impressed. Meanwhile, carmakers such as Renault and Honda updated their popular models with some much-needed features and cosmetic updates. However, getting a glimpse of Lamborghini’s Huracan EVO was definitely the highlight of the week gone by. 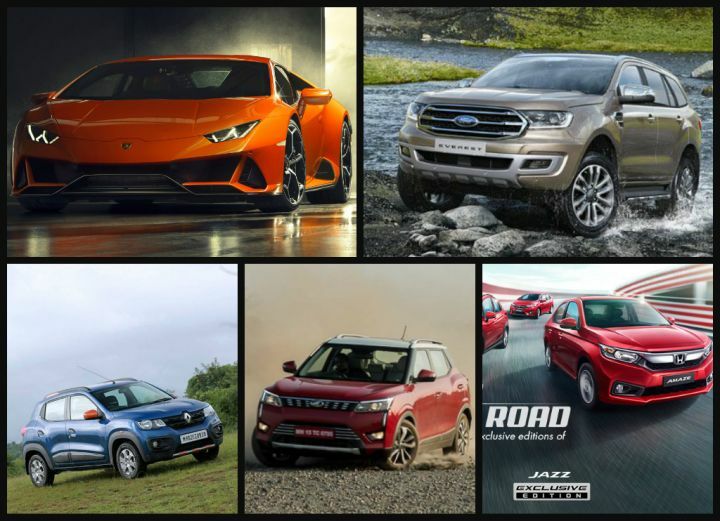 Have a look at these top 5 car news of the week. Fancy a Lamborghini in your life? The Huracan EVO might be the one for you. 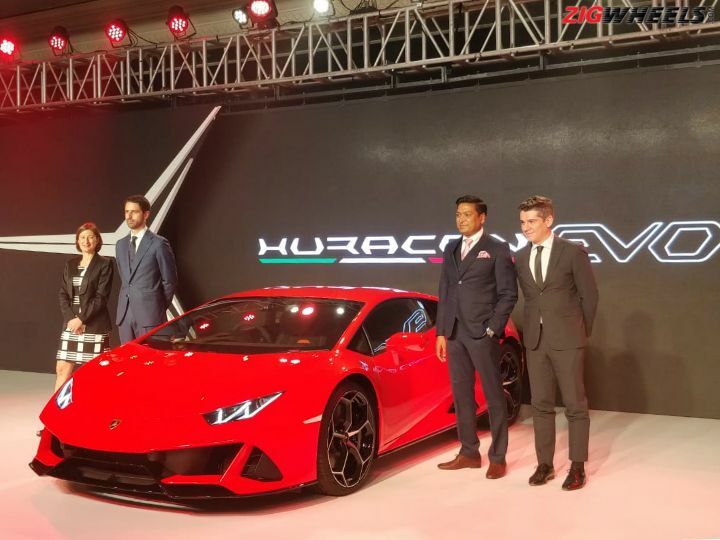 The Italian supercar manufacturer launched the Huracan facelift in India in less than a month since its global unveil in January. The EVO is now the entry-level Huracan and gets a host of updates. It gets a new front section which comprises of a sharper nose, wider air dams and a new front splitter. The aerodynamic changes now offer a 7 times more downforce! In terms of mechanics, you now get active damping control, which works in sync with the traction control system, an updated four-wheel drive system, rear-wheel steering and the same engine tuning (640PS/600Nm) as the Huracan Performante. On the inside, you finally get a touchscreen infotainment system with Apple CarPlay and Android Auto. Want to know how fast it reaches 100kmph, check out the link above. The Ford Endeavour is set to get a nip and tuck soon. 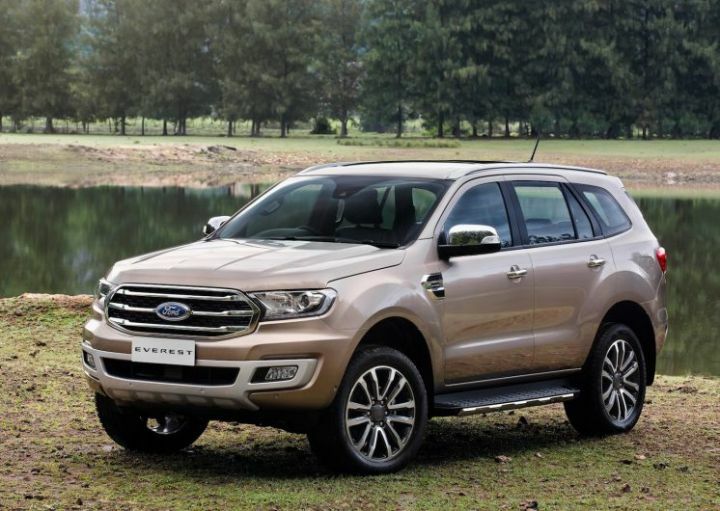 Set to launched on February 22, the 2019 Ford Endeavour facelift will continue to be powered by the same two engine options as the current model. However, there’s a chance Ford could reintroduce a manual transmission with the new Endeavour. Other than that, there are a few features updates as well like new headlamps with longer LED DRLs and a push-button start/stop. Dealers have begun accepting unofficial bookings or the SUV for a token amount of Rs 1 lakh. 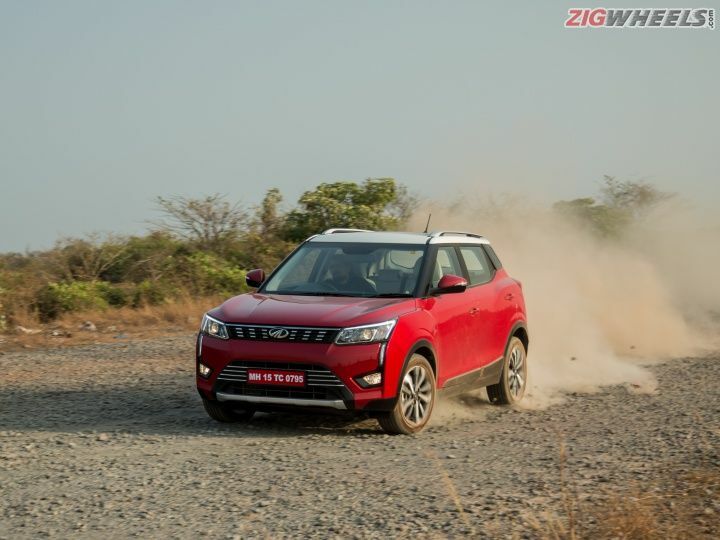 This week, we drove Mahindra’s latest offering in the sub-4 metre SUV space – the XUV300. Based on the Ssangyong Tivoli, the XUV300 sets a new benchmark for features in the segment, both in terms of convenience and safety. It gets features like dual-zone climate control, seven airbags, steering modes, a touchscreen infotainment system and puddle lamps. In terms of the engines, you get a 1.5-litre turbo diesel that’s been lifted from the Marazzo and a 1.2-litre turbo petrol, which has been co-developed with SsangYong. Both engines will come mated to a 6-speed manual at launch, while an automatic gearbox will be introduced at a later stage. Check out the link above for all details of the Mahindra XUV300. 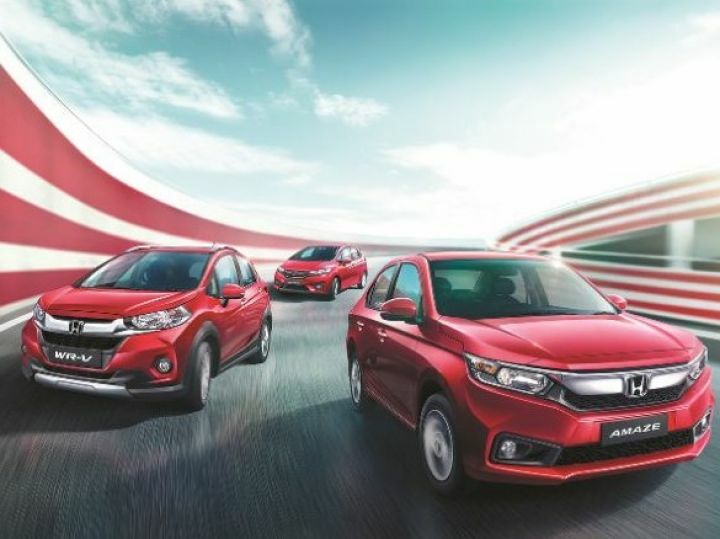 Honda has given a cosmetic update to the Jazz, Amaze and the WR-V. Called the ‘Exclusive Edition’, these cars are available in red and white paint, and get a rear spoiler, black wheels, special badging, illuminated sill plates and seat covers. The Amaze even gets a front centre armrest. The special edition cars are based on the top-spec variant of the respective models and cost between Rs 13,000 to Rs 19,000 more. Check out the link above for the details. 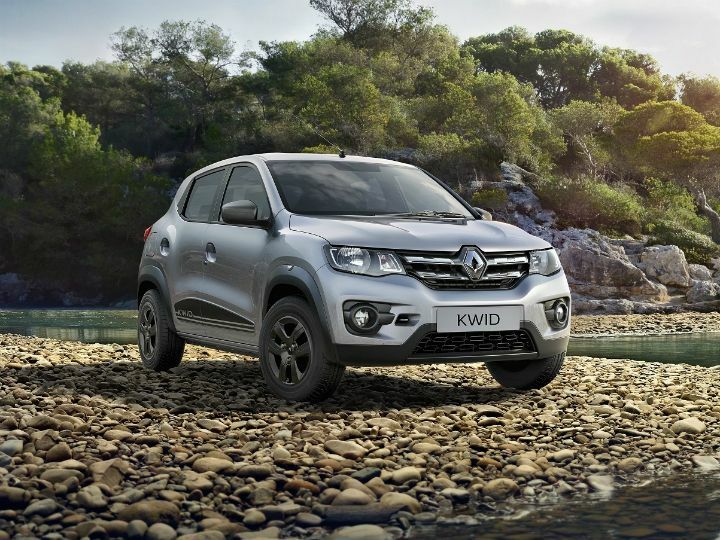 The Renault Kwid has received yet another major update. The 2019 model now comes with added safety features such as anti-lock brakes, driver airbag, speed-sensing door lock, reverse parking sensors and overspeeding alert as standard. On the inside, the infotainment system has been updated and now gets Android Auto and Apple CarPlay compatibility as well. Best of all, all these updates come at no extra cost! Check out the link above for more details.